It’s here! Just in time for Winter. THE ALL NEW REDESIGNED 2019 ALL WHEEL DRIVE NISSAN ALTIMA! 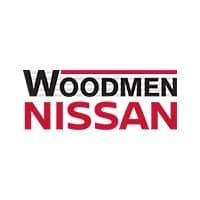 We are Southern Colorado’s premier full-service Nissan auto dealer and we take great pride in the fact that we are recognized as one of the premier dealerships in the country. Our commitment to customer satisfaction and service is second to none. We simply will not be outdone when it comes to serving our customers. Our Store Location Come Stop By!